Art Kowitz with Wendy , a great US racer from the 60's till now who still rides his 70's Kwak he raced with greats such as Freddie Spencer,Wayne Rainey, and Mike Bladwin. 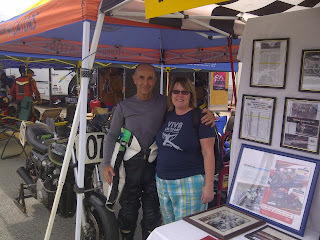 The bike is there behind with some of his memorabilia to their right. 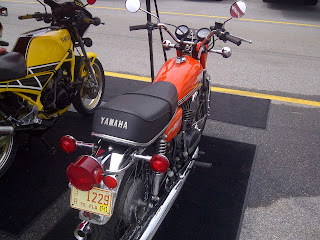 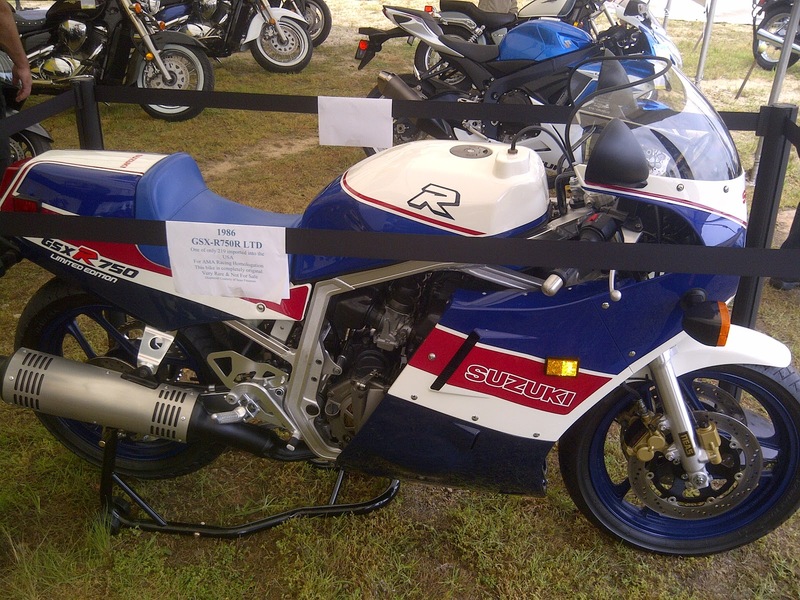 Art's Concours, some nice mods and 39k - he rides a lot on the road too! 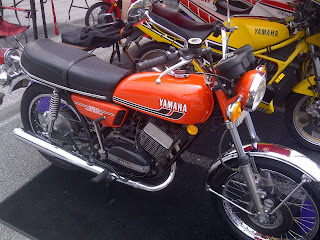 Wonderful Yam 2-strokes, RD350, RZ350 and a RD500 - wow wee! 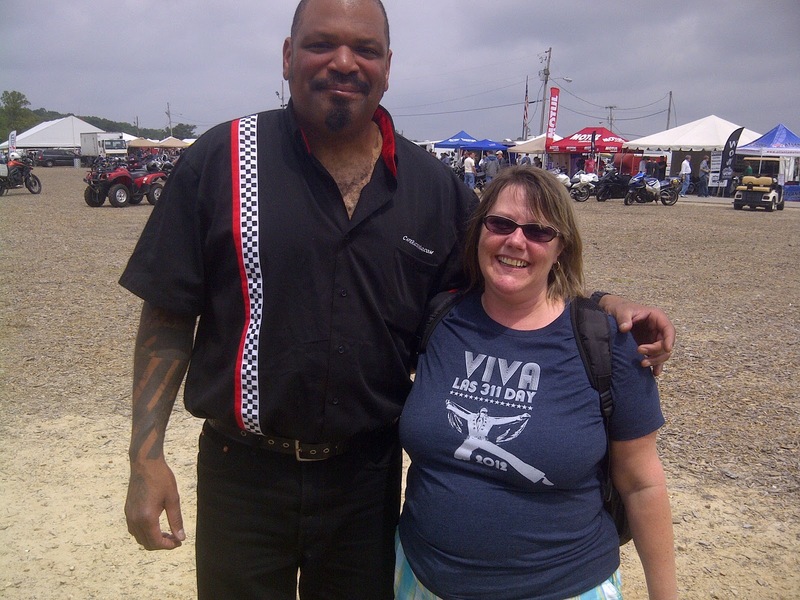 Nice guy from Velocity's Cafe Racer show and editor of the magazine - Mike Seate. 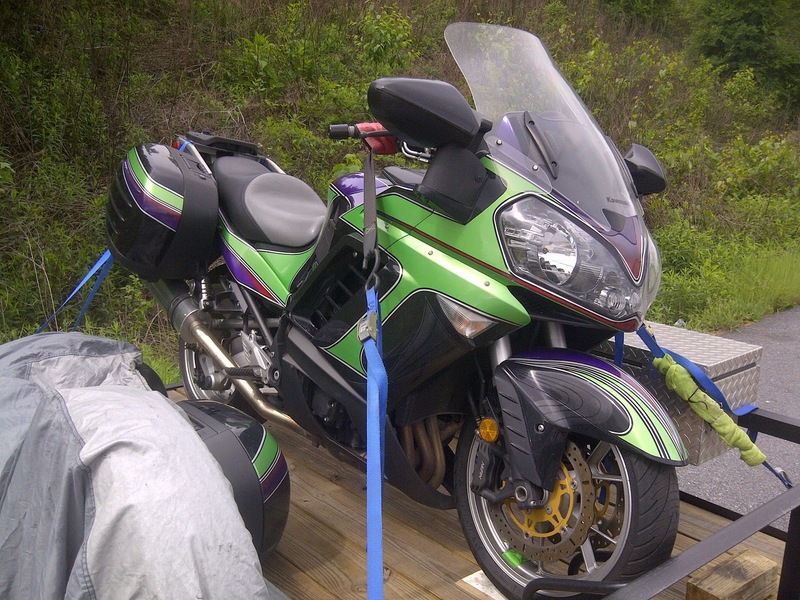 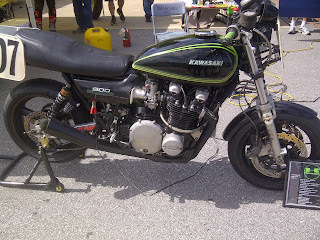 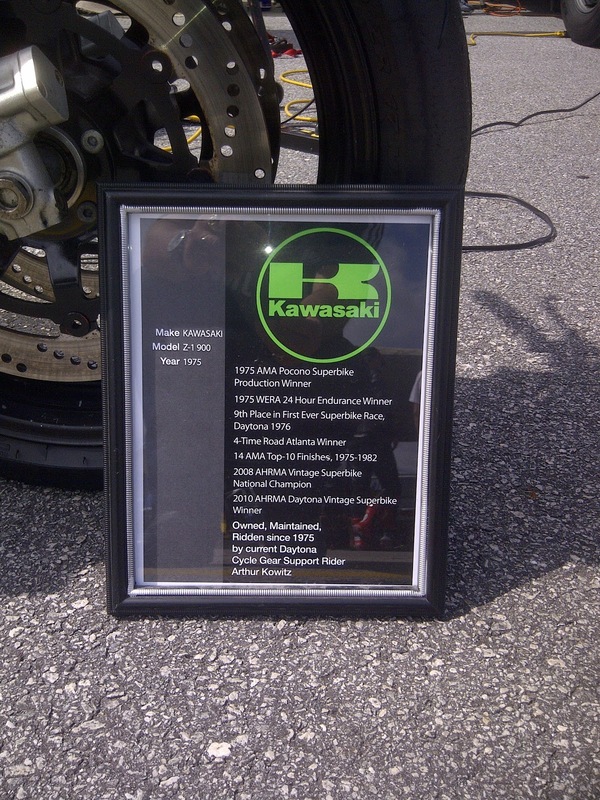 Art's Z900 - looks good, goes good and Art still looks good and fast on it.